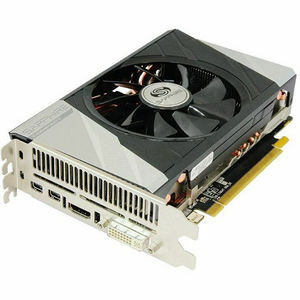 The SAPPHIRE ITX Compact R9 380 edition has been developed especially for small form factor PC systems. This model features a shorter PCB, measuring only 171mm long, and an efficient heatpipe cooler with a single dual-ball bearing fan. With its 2GB frame buffer it is no slouch despite its small size. Sharing the latest AMD GCN core with the NITRO and Dual-X models, the SAPPHIRE ITX Compact R9 380 supports DirectX 12, TrueAudio, AMD FreeSync and Ultra HD. With a SAPPHIRE Performance Index of 3 it is guaranteed to deliver a great gaming experience in high detail at 1080p and beyond.